Applying a filter to a pivot table is different from adding a filter control to a pivot table widget in a dashboard (see Creating Dashboards). 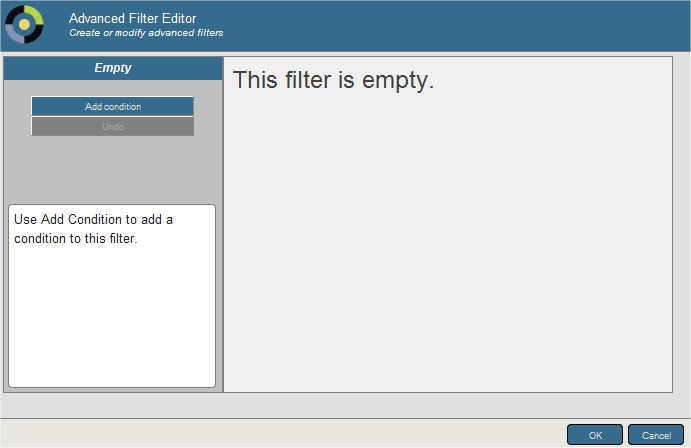 A filter control enables another user later to filter the data. 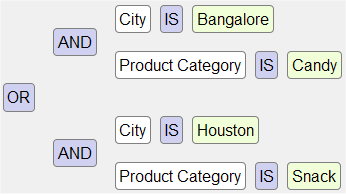 You can add filter controls to a widget that displays a pivot table that has its own filter. 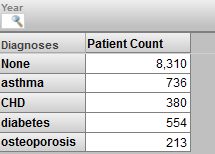 Note that the maximum number of members that can be displayed is 2500. For other options, see “Filtering Data,” in the chapter “Using Dashboards” in Using Dashboards and the User Portal. The end of the drop-down list may include measures; if so, see “Filtering the Data by Measure Value,” later in this chapter. The list of values also includes all searchable measures (see the next section) and all pivot variables (see “Defining and Using Pivot Variables,” later in this book). Note that the list of values also includes all pivot variables (see “Defining and Using Pivot Variables,” later in this book). 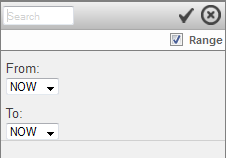 For details on the rest of this dialog box, see “Adding Advanced Filters,” earlier in this chapter. For details, see “Adding Advanced Filters,” earlier in this chapter. The system uses a logical AND to combine all the items shown in the bar above the pivot table. Depending on the form of the combined filter, The system might perform axis folding. This phrase refers to the process of combining multiple filters (a filter is considered to be a query axis). Axis folding means that if a given source record has a non-null result for each slicer axis, that record is counted multiple times. For details on when this occurs, see “Axis Folding” in the appendix “How the Business Intelligence Query Engine Works” in Implementing InterSystems Business Intelligence. When you create a filter by drag and drop actions, the system automatically uses the member key rather than the member name. 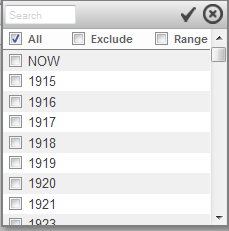 When you specify the default value for a filter control on a dashboard (as described in Creating Dashboards). When you specify the initial value for a filter control via a dashboard URL (as described in the Implementing InterSystems Business Intelligence). Or drag and drop a level to Columns. Choose a level that can give some context.